Home / Education / kids / Kumon Method / Math / Reading / Technology / tutorial / Does the Kumon Method Really Work? Does the Kumon Method Really Work? The Kumon Method is based on individualized learning method where a student can learn Math and Reading in his or her own pace. It was developed by Toru Kumon. He first used it to help his eldest son who was having problems with Math. Ideally, the method can also be used as an educational aide for children who are having issues with their Math and English subjects. But does the Kumon Method work? The best persons to ask should be students. If you read their website, ph.kumonglobal.com (this is the local Philippine site), you'll find a section for student's testimonials. 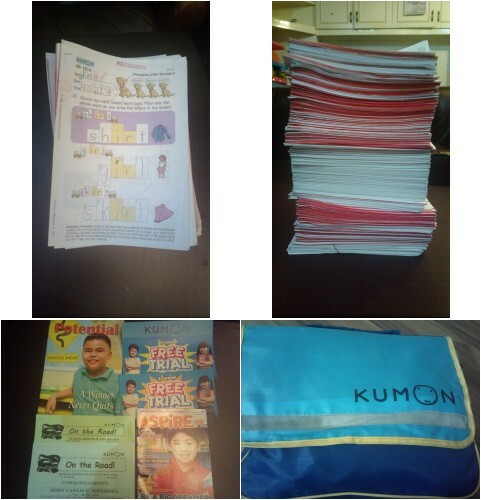 Here, you can read actual students applaud Kumon for its effectiveness. My daughter had also enrolled at Kumon for over a year. She indeed benefited from the program too (we chose just Reading). She gained confidence which translated to scholastic achievements in her actual school. She had also learned to read letters and some words. Problem is, soon as summer started when we chose to let her enjoy her vacation instead of attending classes or even working on modules at home, she seemed to have forgotten almost everything she learned at Kumon. I would assume that she may not have really learned to read but have only memorized the words being taught for reading. I have no idea if this is also the case with other kids. If you'd like to learn more about the Kumon Method including franchise opportunity, how to become a teacher there, find local branches, and more; you may head over their website ph.kumonglobal.com for more details.